"Voices of the Valley is Simply Sensational"
Called "Voices of the Valley: Danielle Woerner, Soprano, Sings Music by Hudson Valley Composers," this sparkling CD features Danielle in music of Peter Schickele, Robert Starer, Aurora Northland, James Fitzwilliam, Robert Baksa, and Alan Shulman, with Schickele and Fitzwilliam playing piano in their own works. Other Hudson Valley elements include a special reading by novelist Gail Godwin of her text to a major Starer chamber work-the 17-minute scena "Anna Margarita's Will"-and words by Woodstock poet Pearl Bond in Northland's songs. And there are performances by several more of the area's favorite musicians: pianist Barbara Pickhardt, and Hudson Valley Philharmonic players Susan Seligman, cello; Marcia Gates, flute; and Harry F. Ditzel, horn. The CD's 72 minutes of music display a great variety of compositional styles and approaches to the texts (which also include poems by Emily Dickinson, William Cavendish, and Dante Gabriel Rossetti). The recording began as an outgrowth of Danielle's fall, 2000, semester as Artist in Residence at SUNY Ulster (Stone Ridge, NY), which featured a very successful concert of this musical program. 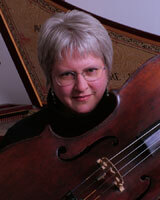 The concert was later given by the same composers/performers at the Pleshakov Music Center in Hudson, NY. This studio version of the program was completed at NRS Recording Studio in Catskill, NY, with the team of award-winning engineer Scott Petito and producer extraordinaire Baikida Carroll. It also had input from esteemed singer Bethany Beardslee Winham, and recording services by Christopher Winham at Pro North in Rhinebeck, NY. It's a project of the Kingston-based Deep Listening Institute, Ltd.
"Ms. Woerner sang sweetly, surely and unaffectedly, with specially good support from the cellist Susan Seligman"
— Paul Griffiths, The New York Times — review of concert performance of Robert Starer's Images of Man. Executive Producer: Danielle Woerner/Woodlark Arts, Inc.
4. 1:42 What Inn is this? 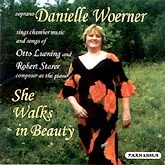 "DANIELLE WOERNER'S THRILLING CONTEMPORARY DISK"
This CD, also recommended by FanFare magazine, brings together vocal music of two of the great, late elder statesmen of American music, Otto Luening and Robert Starer, sung by a soprano who worked closely with both composers and frequently performed with them. Their compositional styles, though quite different, make highly compatible, complementary listening on this disk. The CD's musical program (a generous 77 minutes) is tied together by a number of elements: the poetry, the fact that several of the pieces were written for Danielle, and the composers' use of soprano voice with various combinations of string quartet, flute, clarinet and piano. Several tracks feature Robert Starer as pianist in his own music: the only commercial recordings of Starer in performance. All the music was either previously unrecorded or long out of print at the time of this CD's release in 1999. It was a project of the Deep Listening Institute Ltd., (formerly the Pauline Oliveros Foundation, Inc.), in Kingston, NY. 17. No. 1, "Night Song"
18. No. 2, "Dawn Piece"
19. No. 3, "Morning Song"
20. No. 4, "Evening Song"
Otto Luening and Robert Starer are among our century's finest writers for the voice. They share a fundamentally tonal approach to composition, utilizing interesting rhythmic and harmonic elements along with their fine melodic gifts. Each in his highly individual composer's voice displays a deep sensitivity to the poetry he sets to music: texts by William Blake, Emily Dickinson, Gail Godwin, and others. The CD's musical program is tied together by a number of elements: the poetry, the fact that several of the pieces were written for Danielle Woerner to sing, and the composers' use of soprano voice with various combinations of string quartet, flute, clarinet and piano. Robert Starer himself performs the piano parts in his music; Otto Luening was very much involved in the planning of this CD until his death in September 1996. All the performers share a commitment to the performance of new American music. Over the past seven years Robert Starer (who lives in Woodstock, New York) and Danielle Woerner have worked together frequently, in performances in the Hudson Valley and in the preparation of new works. He wrote Letter to a Composer for her debut with the Woodstock Chamber Orchestra in 1995, and subsequently rescored the piece for the small chamber ensemble (string quartet and two winds) that plays it on this CD. Duration: 74 minutes, 14 seconds. Recorded in analog format and digitally remastered for editing, to retain the warmth and depth of a concert hall performance. 24-page booklet includes illustrations complete texts, program notes, biographies, and a memoir of Otto Luening by Washington Post classical critic Tim page. "agile puppeteering...agreeable singing, [and] the instruments, whose broad, echoing resonances speak ...of a serene and motionless realm at peace with itself." Through music and shadow puppetry, the opera tells a traditional story based on the life of Karna, an anti-hero of the Indian epic, the Mahabharata. 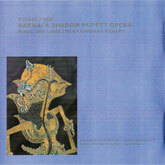 This DVD includes 30 minutes of excerpts in English from the February 1994 performances of Barbara Benary's opera, including some backstage footage of dhalang (puppeteer) Barbara Pollitt in action, videoed live at LaMama ETC theatre, New York City. It features the singing of soprano Danielle Woerner, tenor Dennis Delgado, high baritone Jody Kruskal, and bass David Olsen, and the playing of Gamelan Son of Lion, directed by Benary. In the spring of 1846, 87 men, women and children set out from Springfield, Illinois, on a 2000-mile journey by wagon train to find their Eden in the West, in California. The fortunate ones died early, before they ever arrived in Sacramento, yet 42 people did manage to survive nearly six months, trapped high in the snow-bound Sierra Nevada Mountain range with no food and little shelter. This musical tells the story of their love, hope, faith, struggle and survival. 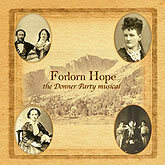 The 22 tracks on this original studio recording of the full score (recorded 2003) feature a number of Hudson Valley singers, including soprano Danielle Woerner in the role of Margaret Reed, plus several alumni/ae of her voice studio--Lia Sumerano, Steve Stiert, Robert DeRivera and Susan Mintzer--in other featured roles. Touching, sometimes funny, and always full of character, the songs revisit this historic journey with originality and heart.